Calcium is the most vital mineral needed in our daily diet. It is an essential mineral for growth of our body and our body requires it for entire lifetime. More amount of calcium is needed with increasing age. Calcium is useful for various functions of the body and it helps to make our bones and teeth stronger. Infants get good source of calcium from their mother’s milk so breastfeeding babies can grow more healthily compared to bottle feeding baby. Calcium is very essential for children to make their growing bones stronger. Following Table shows the Calcium requirement for the body according to your age. Calcium is useful to control heartbeat and reduce blood pressure. It reduces sodium level in our body and thus, helps our body from increasing blood pressure. It is also important for muscle tightening. Calcium is helpful for controlling blood clots and nerve function. Calcium prevents bleeding due to breaks in the blood vessels wall. Calcium aids to maintain cell membrane, which is biological membrane and separates the interior of all cells from the outside environment. In our body 99% of calcium is stored in bones and teeth and remaining 1% is used for cellular processes. Children need more amount of calcium for strong and dense bones. Strong bones prevent you from disease such as osteoporosis that is caused due to lack of calcium. Milk and spinach are known as calcium-rich foods to fortify the bones and make your teeth stronger. Other than milk products, you can get calcium from Salmon, Tofu, Spinach, Turnip greens, White beans, Baked beans, Broccoli, Peas, Brussel sprouts, Sesame seeds, Almonds, Leafy greens like spinach, kale and mustard greens, Paneer, etc. You can also take Calcium-fortified breakfast cereal, orange juice, and soy milk, etc. You can get calcium by preparing various Indian dishes such as Palak Paneer, Raita, and Shahi Paneer. If you cannot get enough amounts of calcium from your daily diet, you can take calcium supplements. You can get calcium supplements prescribed from your family doctor. Take Care that your child takes sufficient amounts of calcium according to his age-group. 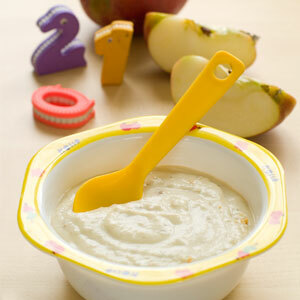 You should serve calcium-rich food to your child as it is vital mineral for child development.